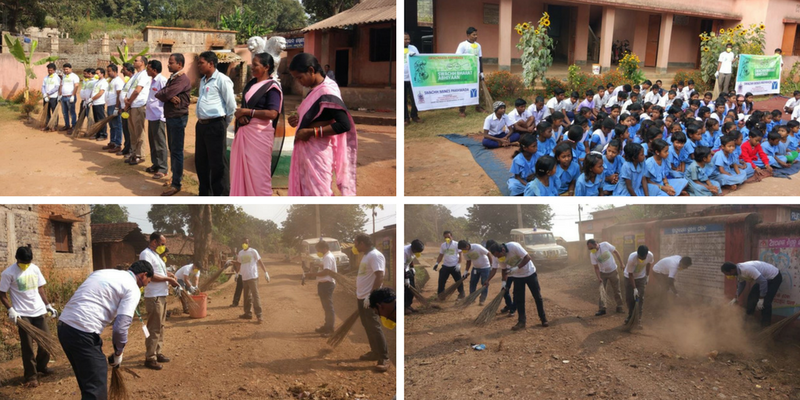 As per the instructions of (Indian Bureau of mines) IBM, Regional Controller of Mines, Bhubaneswar “Swachh Mines Pakhwada” is being organized from 16th December to 31st December, 2017. Thriveni’s Deojhar Iron Ore mines of M/S Tarini Minerals Pvt. Ltd has taken special initiative for the Swachhata Pakhwada in order to keep the mines and its peripheral neat & clean.